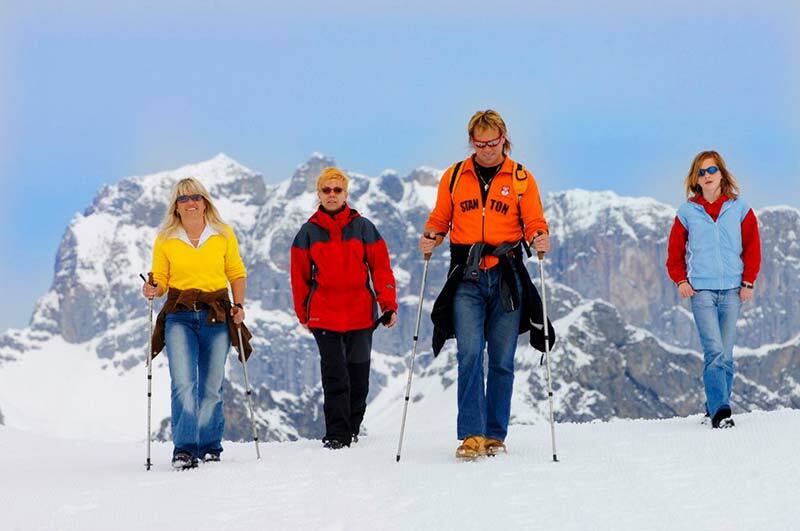 On the sunny high plateau of the Sonnenkopf, at almost 2000m above sea-level, there are wonderful winter hiking trails of different length. 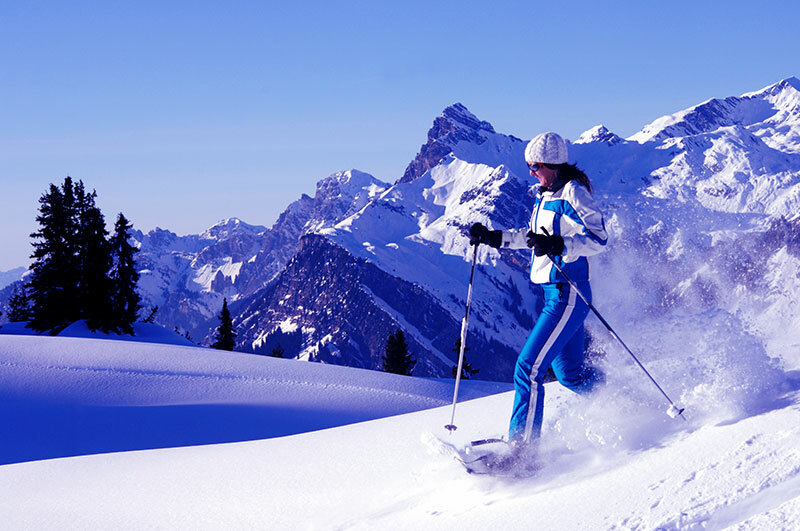 Nature lovers find joy and relaxation on the 1.5km long “Spielhahn” trail, as well as on the other two 2km long winter hiking trails. 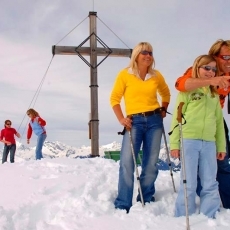 One of Vorarlberg’s most beautiful winter hiking tours is definitely the 7km long winter hiking trail, which leads to the Muttjöchle summit cross. 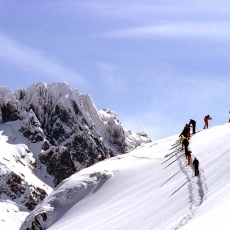 All our hiking trails are suitable for adults, as well as children. 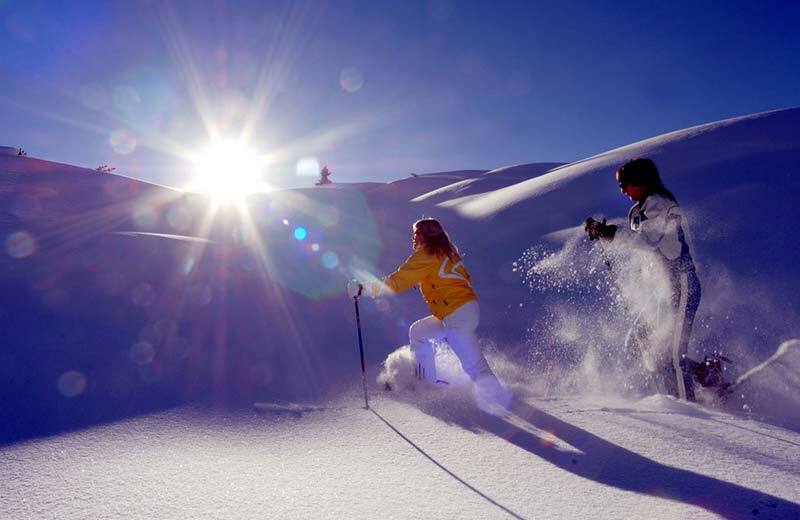 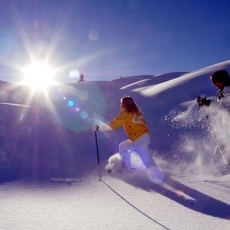 You have the possibility to enjoy the silence and beauty of nature off-piste and gather new energy for your daily life. 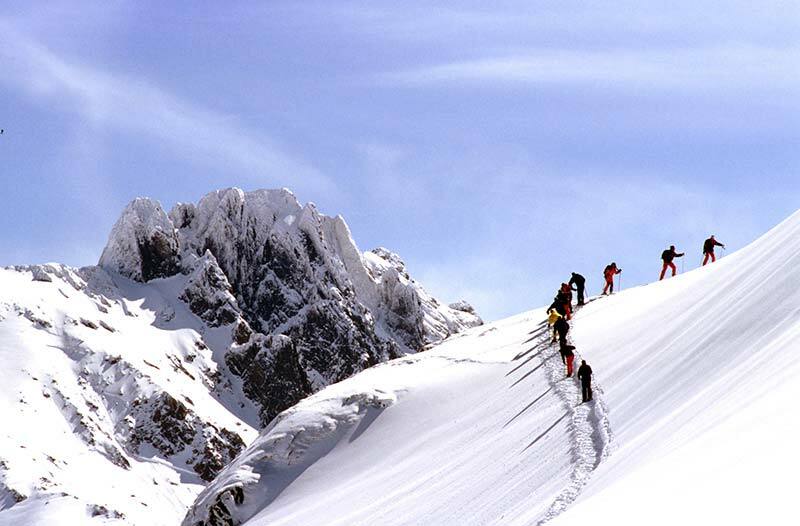 You will find comfortable and sheltered resting benches along all the hiking trails. 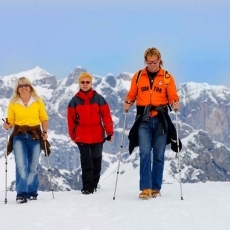 Due to the fact that hotels, huts and holiday apartments are nearby, winter hiking at the Sonnenkopf presents itself as an ideal short vacation or a weekend trip. 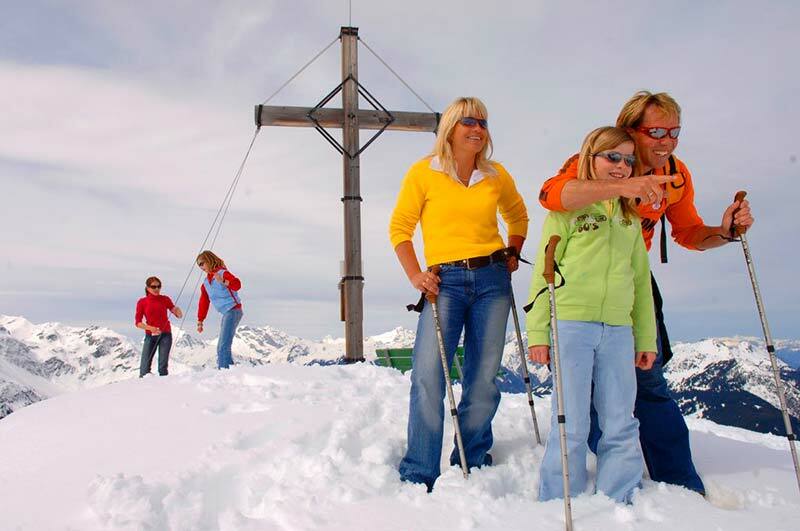 The winter hiking trail to the “Muttjöchle” summit cross leads to the popular mountain restaurant “Muttjöchle”, where our culinary team spoils you with culinary delights surrounded by a fantastic scenery. 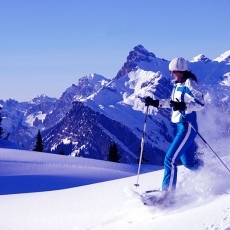 In case you don’t own snowshoes, we offer you snowshoe rental directly at the “Sonnenkopf” cable car valley station.